.... I think we need to remember that the hub and center of Christian discipleship is worship. But on a gut level, we all know this doesn’t work. My failures to follow Christ in holiness do not stem from a lack of information or knowledge. I know very well what He calls me to. I don’t do it because of bad habits that I’ve acquired. And the fact is, you can’t think yourself out of bad habits. You undo bad habits through “rehabituation”—through practices that inscribe new habits in our gut, as it were. 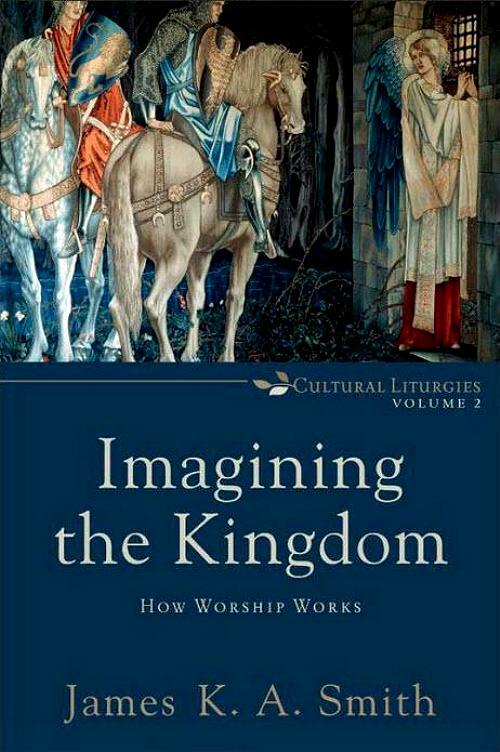 So historically, worship has been seen as not only expressive, but also formative. When the people of God are gathered by God around his Word and seated at his Table, that sanctuary is the space where God is molding and (re)making us. In that sense, worship is training, is formation. 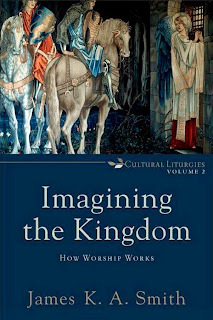 As I argue in the final chapter of the book, if worship is going to be formative, that means we need to think carefully and intentionally about the form of worship. Not the “style” (this isn’t about pipe organs vs. mandolins), but the narrative form of the Story that is enacted in our communal worship. ...[Y]ou can’t just go pick some “popular” cultural form and insert the Gospel “message” and think you have thereby come up with “relevant” worship. Because it’s more likely that you’ve just imported a secular liturgy into Christian worship. Sure, you might have changed the content, but the very form of the practice is training us to love some other vision of the good life. This is why I think a lot of innovation in worship, while well-intentioned, actually ends up welcoming Trojan horses into the sanctuary.